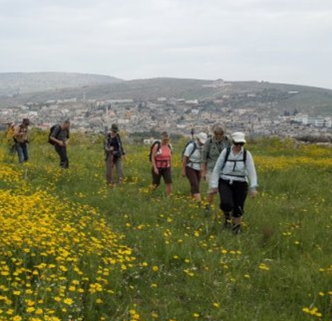 Abraham’s Path is a long-distance walking trail crossing the Middle East, in the footsteps of Abraham from his birthplace in Urfa, Turkey, south through Syria and Palestine to Beersheba. It is a journey which celebrates not only the countryside through which it passes but also the cultures, antiquities and hospitality along the way. The World Bank has undertaken to fund a three-year project to make substantial improvements to a segment of the Trail, from Jenin south through Sebastia to Nablus. The project is a joint effort by the Abraham Path Initiative and the Masar Ibrahim al Khalil organization in which Rozana, the Siraj Center and the Palestine Wildlife Society are members. The project’s objective, in the words of the World Bank, is to contribute to job creation and income generation in marginalized communities along the Abraham Path, with a focus on women and youth. Rozana’s expertise for this project lies in its history of guiding tours in the project area, its collaborative work with villages near Birzeit, its development of Sufi Trails , and its record of working with partner organizations to promote experiential rural tourism in Palestine. Rozana will exercise the function of project management which includes co-ordinating planning, outreach to new communities, and co-ordinating trail navigation between local guides and the Abraham Path staff who will provide technical assistance. Key to the success of the project will be two factors in which Rozana has experience. First, competent and experienced local guides must be selected, trained (including GIS training) and then tested on weekly walks with local residents. Rozana has six years experience devising trails and leading hiking tours to rural villages and Sufi shrines and has recently completed the trail scouting and GIS data collection for the northern segment of the Ibrahim path. Second, hospitality services will be required along the trail. 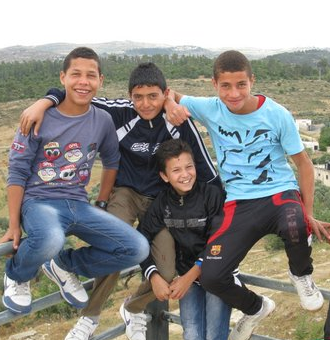 In sponsoring its annual Maftoul Festivals and the Birzeit Heritage Festivals, Rozana has gained years of working co-operatively with women’s charitable societies, many of which have experience administering school lunch and other programs in the villages. The Association has written a first draft of a “home-stay manual” for use in training village women who will operate home-stays, and a “hospitality manual” for training local residents in creating the hospitable environments required to meet the needs of international guests is being written. Both will be published in Arabic and English. All activities and research conducted during the project will be documented and photographed, when appropriate. Feedback will be collected and collated, and the resulting compendium will be printed in handbooks on community tourism, trekking, guides and trail development. Printed materials will be created for visitors. Maps, GIS data, site descriptions, information on cultural sites, and photographs will be published in an on-line guide for prospective travelers. Additional information on the Abraham Path is available from The Abraham Path Initiative and Masar Ibrahim al-Khalil.